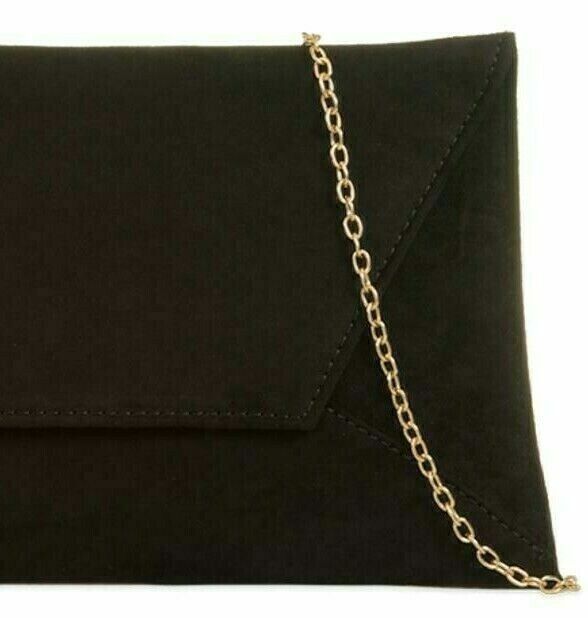 Black faux suede slim envelope style clutch bag / shoulder bag . 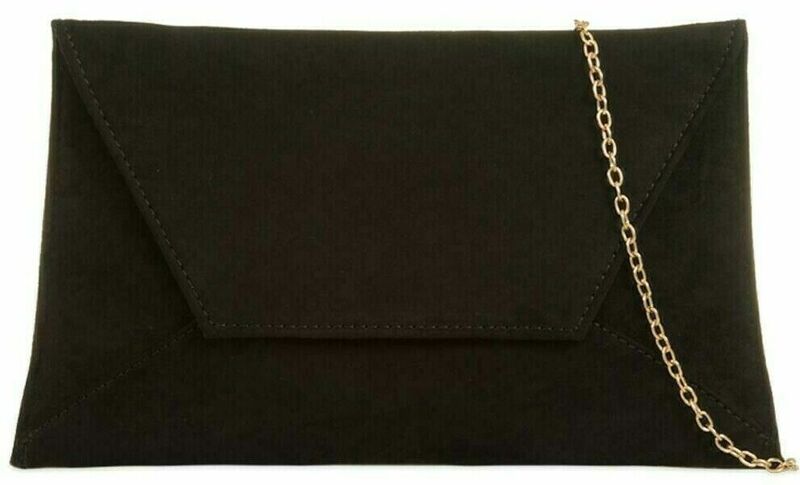 The bag fastens with a flap over the top and a concealed metal magnetic stud, it has a detachable gold tone metal chain shoulder strap for two different looks. Measurements : approx. 10.75 inches / 27.5 cm wide , approx. 6 inches / 15.5 cm high and approx. 0.75 inch / 2 cm in depth .